Puma Ferrari Team Sneakers Mid Height. Official replicas made of leather and textile upper with rubber sole. 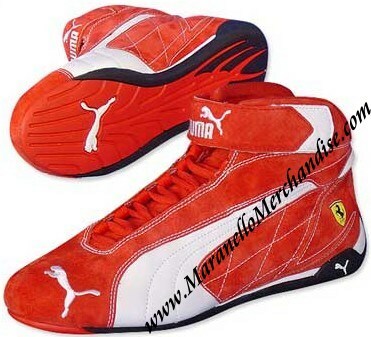 Scuderia Ferrari shield logo on the outer sides and Puma logo on front, heel and sole. This is of course official Puma Ferrari Merchandise.